The quality of our health, fitness and mental wellbeing is important to all of us, but doing the simple things that can help us look after them can easily slip down our list of priorities. In 2014 Oxford Brookes University developed a new Wellbeing service to offer crucial support to students. A number of existing areas- the Chaplaincy, Counselling, the Disability Advisory Service (including Dyslexia and specific learning disabilities)-were all brought together under one service. 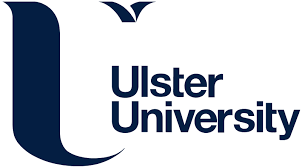 This enabled a more focussed approach to developing proactive support for students throughout their time at university, ensuring as many as possible, from a wide range of backgrounds, reach their goals. 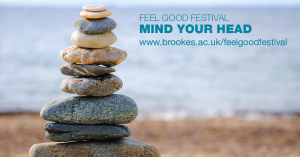 In October 2015, Oxford Brookes held a Wellbeing Week, which saw services from across the University and beyond promote a range of ways for students and staff to improve their wellbeing. The week featured Wellbeing Roadshows visiting each campus, workshops, creative spaces and a variety of activities. Wellbeing Week was led by Brookes Union as part of the further development of their welfare activities, which include their mental health and housing campaigns. The event was supported by departments across the University, including Wellbeing and Brookes Sport. Student activities included graffiti walls for students to express their thoughts, chill-out zones for use in between lectures, pumpkin carving and a stress resilience workshop. Both staff and students enjoyed Crafternoon Tea, a chance to meet up and share craft skills over a drink and a chat, lunch time worship in the Chaplaincy, a Wellbeing poetry competition, as well as the opportunity to visit and browse self-help books in the library’s Bibliotherapy Space. Bibliotherapy is a term used to cover the use of self-help books to enhance emotional and psychological wellbeing, and the University has its own Bibliotherapy Scheme. A number of the activities during Wellbeing Week involved keeping active with beginners’ running sessions and circuit training. Brookes Sport also provided opportunities to try a variety of sports from climbing, football, and water polo to social tennis, badminton and Capoeira, a Brazilian martial art. The Brookes Active initiative was also launched as part of the week. It is a pan university approach to support the whole Brookes community to enjoy an active lifestyle with Brookes. Under the Brookes Active banner, a series of projects are being delivered to raise awareness, provide encouragement and increase provision for physical activity in a holistic way that compliments all facets of wellbeing. 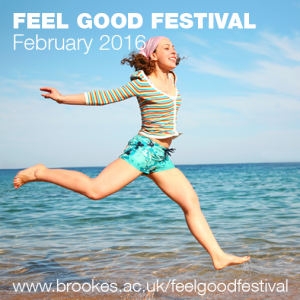 February 2016 sees the return of the University’s Feel Good Festival, a whole month of great events and activities to support wellbeing at Brookes and beyond. It focusses on engagement and behaviour change, with different topics for each week that promote active lifestyles, healthy diet and positive mental wellbeing.